Located just 7 miles from our West Hartford pediatric dental clinic, Bloomfield, CT is conveniently located near one of the best places for kids to learn about proper care of their teeth. Our doctors have years of experience caring for young teeth and we are passionate about preventive oral care at CT Pediatric Dentistry, which now has 3 locations throughout the state of Connecticut. 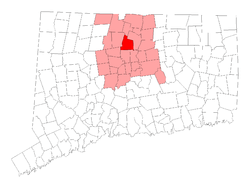 Bloomfield, Connecticut residents will find our nearest office in West Hartford at 345 North Main Street, and you can call us there at 860-523-4213 to schedule an appointment for your youngster. Our pediatric dental practice is the perfect place for your child's first visit to the dentist, which should not be long after their first tooth pushes through. This first visit establishes a dental home for your child, and early examination and preventive care protects your child's smile now, and into the future. Children of all ages are welcome to our clinics, which employ kid-friendly methods to ease their anxieties about visiting the dentist, whether it is prevention and education, restorations or extractions, cosmetic dentistry, or an emergency visit. X-rays at CT Pediatric Dentistry are very safe. Pediatric dentists are quite careful to limit the amount of radiation children are exposed to. Between the lead apron and high-speed film used, the amount of radiation is minimized to ensure that it is quite safe for your child to get important dental X-rays. Cavities that occur in baby teeth (primary teeth) despite preventative measures, should be fixed for many reasons. Your child's baby teeth help them speak clearly, chew naturally, and help form the path that permanent teeth follow when they are ready to come out. 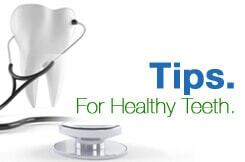 You want your child to have a healthy mouth early in life, so that these practices are continued into adolescence and early adult-hood, promoting long-term oral hygiene and good health later in life. The team of doctors, dental hygienists, and assistants at CT Pediatric Dentistry provide a fun and friendly environment for young people to ease any fear they may have about visiting the dentist. We take special care to ensure a smooth visit with gentle dental care and as much comfort as possible for your young loved one.